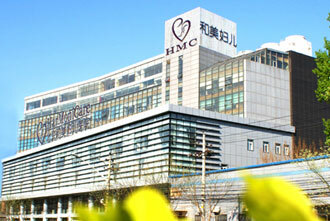 Founded in 2003, Harmonicare Medical Holdings Co., Ltd. [01509.HK] get listed on the Hong Kong Main Board. As the owner of China’s leading private hospital group for women and children, Harmonicare has 14 chain hospitals in core cities, including Beijing, Shenzhen, Guangzhou and Chongqing, etc., and hires over 4,000 excellent employees. Harmonicare provides high-quality medical services of over 600,000 person-time for customers every year, and by the end of 2018 the total number of babies born in Harmonicare hospitals has exceeded 70,000. Harmonicare has been committed to providing Chinese families with high-quality gynecology, obstetrics and pediatrics services. In strict accordance with internationally recognized JCI standards and combined with 15 core hospital system requirements of the National Health and Family Planning Commission of the People’s Republic of China, Harmonicare continuously improves medical quality, enhances medical services and comprehensively protects customers' safety. With the “customer-centric” principal, Harmonicare provides top-level resource allocation from all aspects of medical technology, clinical environment, facilities and equipment, engages well-known experts to set up Harmonicare Medical Expert Committee, and each hospital employs excellent medical personnel to provide customers with professional, international, family-oriented high-end medical service, so that they can enjoy relieved and comfortable clinical experience in our hospitals. Since the beginning of the establishment, we have been walking in the forefront of the industry: We were the first hospital to implement the hospital brand chain business model in the whole China; we introduced CDH Investment Fund and CCB International Medical Fund in 2008 and 2010 respectively; we entered into a strategic partnership with PHMI in 2010, introducing the international advanced medical service philosophy; Shenzhen Harmonicare Women and Children’s Hospital passed the international JCI accreditation in 2011; Beijing Harmonicare Women and Children Hospital is one of few medical institutions conducting the preoperative consultation prior to all operations in China; in 2015, we were successfully listed on the main board of the Hong Kong Stock Exchange; in 2016, the investor Taikang Insurance Group was introduced. In the same year, Beijing Harmonicare Women and Children Hospital passed the international JCI certification with high score. Adhering to the brand culture and customer-oriented operation philosophy accumulated for years, Harmonicare has become one of the most influential business in the field of Chinese medical treatment and health while continuously protecting the health of customers.